Princes Gate’s sumptuous signature High Tea is served daily. Originally High Tea was an early evening meal eaten between 5pm and 6pm as a substitute for both afternoon tea and the evening meal. The term comes from the meal being eaten at the “high” (main) table, instead of the smaller dining table. It was relatively informal and would have consisted of cold meats, eggs and/or fish, cakes as well as sandwiches. 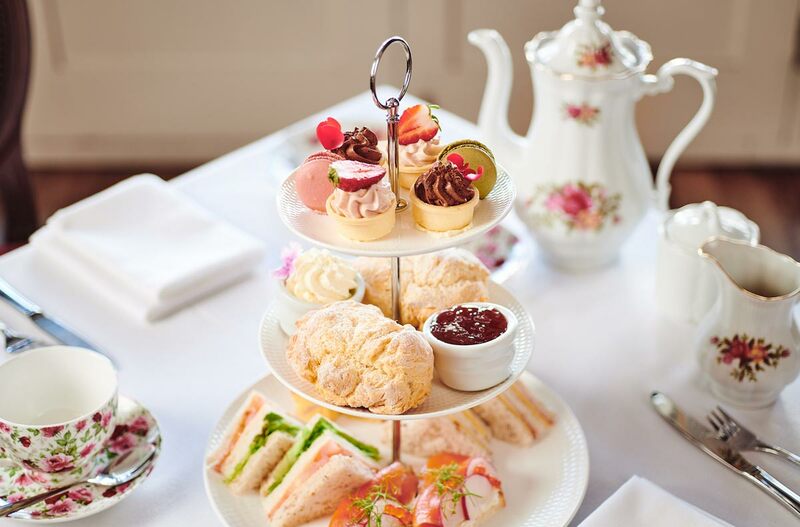 It is only in recent years that High Tea has transformed into an up-market afternoon tea, consisting of a selection of petite sandwiches, cakes, scones and pastries. The ritual is credited to Anna, Seventh Duchess of Bedford, in the early 19th century. The Duchess grew hungry between an early lunch and a late dinner, and resulting in a small meal being served in her boudoir, mid-afternoon. A delectable treat that incorporates a selection of finger sandwiches, freshly baked scones served with cream and jam, an assortment of sweet patisserie items and an extensive selection of fine Dilmah Teas and barista style coffees. The traditional High Tea plus your choice of a cocktail or a glass of bubbles. The luxury pampering option that includes the traditional High Tea plus a glass of French Champagne. Minimum 4 guests. The Traditional High Tea where our guests are served a delectable High Tea with a glass of bubbles and a beautiful selection of items, served buffet-style. Minimum 10 guests. An elegant way to enjoy morning or afternoon tea. 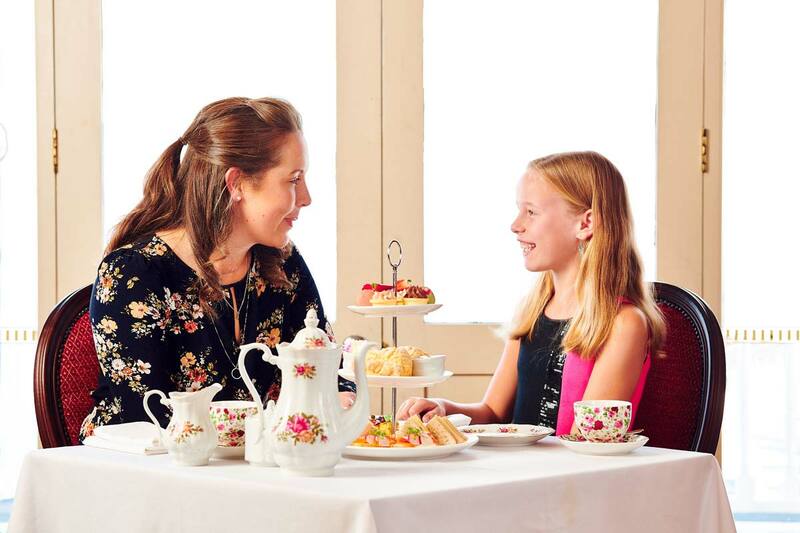 High Tea is available from 11am-4pm and bookings are highly recommended.